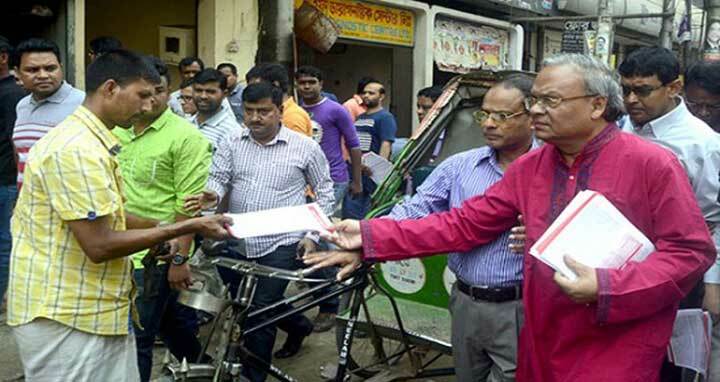 Dhaka, 1 Mar, Abnews: BNP has started distributing leaflets across the country demanding the release of its chairperson Khaleda Zia from jail, UNB reports. BNP senior joint secretary general Ruhul Kabir Rizvi launched the programme in front of party’s Nayapaltan central office around 10:15 am on Thursday. Talking to reporters, Rizvi said their party leaders are are distributing leaflets all over the country stating how their chairperson has been ‘subjected to injustice’. The BNP leader said they will continue their peaceful movement and ensure the government’s fall through it. Meanwhile, huge law enforcers have been deployed in Nayapaltan area following the BNP’s leaflet distribution programme.